Over the past ten years, many hundreds of Chinese graduates and postgraduates from The University of Nottingham campus in Ningbo China have attended a management and leadership programme designed and delivered by CMBD. Over a two-week period they attend workshops designed to help them to acquire the skills and knowledge needed to prepare them for the world of work. The training is delivered in a hands-on, practical and fun manner by using experiential techniques. Each year since 2007, groups of between 40 to over 100 students (working together in small teams) have completed workshops on Management and Leadership, Team Dynamics & Team Role Theory, Motivation, Communication, Negotiation Skills and Personal Effectiveness. Some of the exercises require the students to present their conclusions to the whole group, building confidence in public speaking and presenting. One of the favourite exercises over the years has been the business simulation exercise which we call 'Motor Manufacturing Mayhem!' This puts teams of competing vehicle manufacturers in competition with each other to become the most valuable and profitable business. Components have to be sourced, teams have to deal with the bank and also build and sell their cars and trucks into a moving marketplace. They also have to be aware of their competitors and interact with them. At the end of each trading cycle, the teams complete their profit and loss and balance sheets and learn the basics of business accounting as they go. It is generally one of the noisier days of the programme as it is highly competitive! 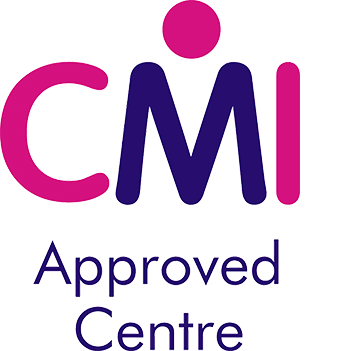 Whilst attending the Summer School, many of the students also chose to complete optional CMI Level 3 Award qualifications in First Line Management as the programme provides the underpinning knowledge required. The final task that the students have to complete whilst they are with us is to write, film and edit a movie showing what they have learned on the programme. They require all of the leadership, time management, team and business skills that they have been taught to succeed. They are not given any special equipment or facilities as they are expected to use their own initiative and creativity to produce a result. Over the years we have seen some absolutely stunning short videos produced. We have had love stories, prison breakouts, horror stories and jewel heists! However, we hope that you enjoy the example below as three superheros try to rescue the Princess from the wicked criminals. Watch out for the Batman Bike and we still don't quite know how they did the Spiderman special effects! Three Superheros have to learn teamwork! With a wide range of specialisms and skills, the team delivering the Summer School Programme also enjoy the journey that the students make in improving their knowledge, skills and above all else, confidence.